I found a neat little video done by a fellow blogger that writes in China named Eric. His blog is www.sinostand.com and I highly recommend the site. The video I found is about 8 minutes long and Eric bikes through China with a friend and makes commentary about the social aspects of the countryside, the country's one-child policy, China's religious views, and even examines the economic conditions. The video's examination of the building to build economic growth model is really interesting in that we see the local government kicking out people that have been in a home for generations to make way for huge housing development high rises that will be empty. It is difficult to see how the Chinese bubble won't burst in the future with this type of government sponsored real estate debacle brewing. As I reflect on this quote from Alexis de Tocqueville I find myself recognizing this pattern in our daily lives as citizens of the United States. As an entrepreneur I often think of businesses or products I'd bring to market, yet frankly shut it down before I get started as my mind reviews government legislation, regulation, and product liability issues. While this is obviously an investment, economic, and business blog, the creeping hand and influence of government in our lives must be recognized and arrested, otherwise we and our children will wish that we had acted when is was possible to do something about it. Since 1868, more than 600,000 of our military members have given the ultimate sacrifice for the very freedoms from tyranny and oppression that I am about to highlight. If our deceased veterans that gave their lives in war were able to, I'm sure they would simply shake their heads at the mess we've created and the lack of focus on the preservation of our liberties. On this Memorial Day weekend I wanted to present to you how we are ushering in a new life here in the United States, one that is something right out of a Orwellian novel or out of the imagination of a totalitarian dictator. As we saw new political tides sweep across the Middle East in the form of the Arab Spring, I can only wonder what tsunami has begun to cover what was once the greatest nation on the earth. Like many well meaning activities I do believe that the reach of government began in an effort to improve peoples lives. Legislatures attempted to protect individuals, keep them from financial and physical harm, and ensure that the little guy could have a seat at the table. Unfortunately, good intentions tend to get out of control and we may find that all of these nice rules and laws have sent us down a road we don't want to tread. It seems that we have a pervasive attitude that every interest group with money can buy a lobbying firm and get their pet project and bill passed. Clearly we have an issue in city, state, and federal spheres of government where we have professional politicians that are paid to craft more rules and regulations. These "professional politicians" legislate and frankly that is a problem. When politicians are paid and their full-time jobs are to create laws, guess what? They create lots of laws! While these political leaders work to create laws, they just keep adding up and up and up. It isn't too hard to see that anyone with a great need, political influence, or a lot of money could shop their cause or need to our legislatures that seem to have an unending appetite for passing new bills, or passing fresh laws to fix older perceived bad ones. What types of great laws do we get when our leaders spend their time drafting ordinances and guidelines for our daily life? Gardening - Go to jail for gardening? Each of these situations posted above demonstrate the reach of government. Do we need protection from gardens and leaf blowers? Do we need safety so much that we give city employees access to our businesses, property, and personal assets? LAW ENFORCEMENT OR SIMPLY BRUTE FORCE WITHOUT OVERSIGHT? In America we used to grow up thinking that we had specific rights that protected us from undue scrutiny and interference from the government as long as we did nothing wrong. Unfortunately, that might not be the case as citizen's rights are being whittled away or simply revoked as the governmental system acts and often acts strongly and violently then apologizes after citizen's suffer injury or pay the ultimate price. We now live in an America where if we want to travel by plane we are subject to intense questioning and strip searches. We live in towns where police can now stop you without cause because you look out of place. Our email and phone conversations are easily intercepted and can be used to implicate you or trap you when previous communications were protected and required advance approval from a judge. We reside in a nation where governmental agencies can sue you and prevent you from using your land, levying fines and essentially bankrupting you as you attempt to defend yourself. Our nation is now one where you can be tried criminally in a state and then forced to defend yourself for a similar crime at the federal level, draining your financial and psychological resources and circumventing the notion of double jeopardy. Note that the woman the Feds were looking for had alledgedly committed student loan or financial aid fraud and I'm sure she was a huge threat (not!). Even the Federal Department of Education is employing its own armed SWAT teams to apprehend violators through the Office of the Inspector General. Couldn't the FBI assist with such a scary and threatening financial aid fraud violator? It seems that every action by the government now needs overwhelming force as we see white collar criminals swarmed with dozens and dozens of agents all fully armed with shotguns, machine guns, and other high powered weapons. Our police force has been fully militarized and sees every potential interaction with the public as an opportunity to demonstrate its power. It is also troubling that the task force had a warrant with 100 names AND it included the husband's on the list, not just the wife. You think they were casting a pretty wide net to capture anything they could? Arizona Iraq Veteran Shot 70 Times - Never Fired A Shot & "They were just doing what they were trained to do"
We all know the Fast and Furious story, yet I don't think it has sunk in with enough of us that our Justice Department and senior government leadership were willing to risk the safety of Americans AND were absolutely ok with the killing of Mexican citizens to potentially arrest some bad guys. Really contemplate what they must have discussed. "Mexican citizens will get killed and some American's might......Operation Approved!" Where is the citizen oversight for these governmental agencies? Frankly, there is none as we see Eric Holder refuse to answer questions posed to him by Congress. Why did the whole operation come to light? A US Federal agent was killed, otherwise we might not have any idea that our highest levels of government were willing to risk a few foreigners and citizens to catch some criminals. The video above highlights just how it takes just one police officer in authority to impact the lives of by-standers in very permanent and negative ways. Is there any defense for the stupidity of the guy that claimed initially that it wasn't his home? No. Did he deserve the attack by the officer? No. Did the person with the camera threaten the officer? No. Did the officer act reasonably or even try to discern the facts of the situation before reacting violently? Clearly, the answer is no. The officer went further and kicked the camera attempting to disable it. In December 2011 the officer was terminated from his position with the Las Vegas police force. I know that police officers are concerned about video taping of their actions and I know that 99% of police act honorably and have a horribly difficult job. When video taped, officers feel as though they are being spied upon, monitored, and set up for a trap. Unfortunately, we have seen that citizens do need the right to video tape officers at work. If not, there is no chance to punish the very small minority of bad cops that do bad things. Below is a video of a fatal shooting in San Francisco on the BART transit system. A defenseless 22 year-old man was shot as he lay on the ground and was hand-cuffed. Fortunately, riders of the stopped train video taped the attack. As you watch the Chief of police, make sure to note that he defends the procedures of the cops and mixes up the order of events. He claims that the man was hand-cuffed after the shooting, which is clearly not the case. The officer ultimately did get convicted, but it took video and bravery on the part of people attempting to reign in the unfettered power of an out of control governmental agent. STUPIDITY YES, BUT WHAT IF IT WERE YOU? Look, I see clowns like the guy video taping the police officer and I think he is an idiot. I see thieves run from the police and then when caught they are beat senseless. Many of you will state that these criminals are stupid and shouldn't run or that the person deserves the full measure of the repercussions the offender receives. I once felt like that. Oddly, I expect more from our police since they are highly trained and quite militarized. If they are going to be equipped and trained like soldiers they better have the professionalism and self control of elite soldiers. These videos highlight just a few instances over the last few years of power misapplied by our police and government. What is important to remember is that there are millions of interactions a year where the police handle things perfectly. The issue is that when you are involved in one of those instances that goes bad, you might just find yourself injured seriously or killed. If a SWAT team entered your house at 3AM without warning, would you be able to discern that they were friendly cops that were trying to execute a warrant on your neighbor, but mistakenly entered your home? My guess is that I would shoot one or two of them and they would kill me, filling my body with many bullets. At 3AM, I wouldn't have time or the inclination to determine who was breaking into my home and they wouldn't take the time to explain that they accidentally had broken down the wrong door. Our system of checks and balances is unique and has served citizens of the USA and forged a prosperous country that has so far fended off the attempts by tyrants (government) to dominate life. Unfortunately, this may not be the case for long. The judiciary is simply a step of affirmation that works to create case-law and legal support for unbridled use of power against our citizens. We even live in a country where in 2011 the Indiana Supreme Court ruled that a citizen may not prevent police from entering your home or fight back even when the entry is illegal! - "The court has now given police authority, even when they don't have a warrant and even when the search may be illegal, to enter an Indiana citizen's home without a warrant to search,” attorney Jack Crawford said. I've mentioned it quite often in the blog over that last couple of years that we often see "convenient" terror actions at just the right time. Remember when we were hearing lots of calls for the end of the War on Terror, suddenly we had the Shoe Bomber and next we had the Underwear Bomber. Recently we had a case of the Underwear Bomber Part II. Notice anything interesting about these events? If our citizens aren't reminded to be scared frequently we might begin to question the size of our "police" force and wonder about their infringement of our Constitutional rights. However, if we are scared and concerned for our safety as these threats are continually popping up, we are more than happy to give up a few things to be "safe". It is odd that we live in times where our US leaders and government are implementing the actions that will transform our country from one that possessed liberty to one that wishes for it. What is strange is that right now, the middle class in Russia is attempting to throw off the very same oppression and totalitarian controls that our focused leadership desires. While Putin further consolidated power, Russians are at least aware of the dangers of a brutal totalitarian state. Unfortunately US citizens seem either asleep or quite content with the idea that our protection and security forces operate without oversight and without concern for privacy and basic US citizen rights. They are happy to give away protections of privacy and liberty in the name of safety. PRICELESS LIBERTY - WHAT LIFE LOOKS LIKE WITHOUT IT? And what happens when we move beyond talking about losing rights and suggesting that we are on a slippery slope? What does life look like when the abuse of power by influential leaders in government, police, or even connected corporations or political organizations becomes so rampant that our precious civil rights can be terminated with the stroke of a pen and a classification of a terrorist or "person of interest". Is it beyond imagination to think that some nutty power-hungry government official won't stretch the truth just a little to get his man? Is it possible that that same leader would attempt to overreach authority to hear their target's conversation, search his house, read his email, and detain him indefinitely? Here is a Cuban example of what happens in these societies without morals and without a check in the power of a totalitarian government - CUBAN PRISONERS FINALLY ACHIEVE FREEDOM IN THE WORST WAY. The story simple describes how hopeless one becomes in an environment where the government controls every aspect of life in the name of protecting every man equally. Economic repression of the middle class, growing and suffocating government, militarization of our police, encroachment of rights, psychological terror, abuse of power, corporate control of everything, and lack of representative government are all simply signs that our liberties are quickly eroding. A political and economic elite dominate and a powerful security force has arisen to maintain "safety" at the cost of freedom. If you imagine a time when every action you perform outside your home is video taped through cameras or monitored via drones and every verbal cell phone conversation or online communication you have is gathered and indexed for analysis or future use you begin to sense that the purpose of all of this is not exactly for our protection..... although it is said to be done in the name of protection. As I wrap this up I am convinced that all of these people involved, whether it is politicians, police, or citizens that advocate these measures, want the very best for America. Unfortunately, their actions are misguided. They see a state sponsored solution but that only results in more "state" and more cost. If you ask me, I am willing to risk my life and a few other lives in the US to preserve my living freedoms rather than hand over all of my liberties in the name of saving a few lives. I don't want to minimize the death of anyone, but I am appalled to know that we are willing to hand over almost everything to politicians that pass the NDAA, CISPA, and Patriot Acts as a result of the 9/11 attacks and a few subsequent terrorist actions. In total we have lost perhaps 10,000 people total (when you add in the lost lives in 9/11 and the IRAQ and AFGHANISTAN WARS over the last 10 years), yet when measured against the fact that in America almost 300,000 people die each year of obesity related issues you have to ask yourself what are we thinking! No, this isn't an argument to control high-fructose corn syrup in food, it is a declaration that we are happy to give away everything that truly is important (ask someone in North Korea) to save 5,000 or 10,000 lives when we lose 30 times as many because we a country filled with fat cows! Our rights and liberties are precious we must get our heads out of the pie plate and demand that we retain them or else we will all regret our complacency in the near future. As most of you know I keep a running list of stories that I want to post and then as I have time I will work on them and post them when complete. Some stories take so long to get back to they become dated and I simply trash them. I was about to discard this one when I took a few moments to rewatch it and I was simply stunned by how easily our American values have been sapped from us and how it has only taken one or two generations for us to become convinced that independence and personal responsibility are not core tenets of American society. In the following 5 minutes clip we see an interview on Fox News with a Valencia College professor Jack Chambless. Professor Chambless describes an exercise he has students complete in the beginning of the year where they write an essay explaining what the American dream is to them and also what the role of the federal government should be in their lives. Unfortunately, the results of the assignment highlight the extent our attitudes have been warped and how quickly we have created a citizen base that expects care from an external entity for life. Is it any wonder that the Obama campaign created the internet campaign video on the Life of Julia where the government provided assistance in every stage of her life? This wasn't some odd mix up or some ill-conceived campaign idea, they were creating a video that targeted the very beliefs that many young people expect and want! Conservatives better not brush this off as some stupid liberal foul up, this was an intentional advertisement highlighting the things that liberals identify as a goal and now many young people believe are important!!! While a small percentage of students simply wanted the government to leave them alone (10%), a staggering 80% see the government as a mechanism to provide them a college education, a home, employment, and retirement. As I see results like this I am simply aghast and am reminded of writings by J.R. Nyquist that suggested that Russian Communists had planned and schemed throughout the last 40 years to infiltrate our college professor ranks to wage an ideological war from within the US. If this idea of a long term war of ideas driven by intellectuals is in fact true, we can see that their efforts must have been more successful than their wildest expectations as they have destroyed the very basic principles of capitalism in that there is no expectation of success AND failure along with reward AND risk. In corporate banking and finance we have nationalization and at a personal level we have the social nanny state. I will concede that college aged students are typically more liberal and frankly inexperienced in real life but this shocking interview reveals that our youth expect "someone" to care for them and that they have a right to anticipate that some benevolent force will pay for the things they need or want in life. Unfortunately, I don't think that these kids realize that often just like in trading, when you minimize your downside (some government provides everything for you) you often limit your upside as well. Second, I'm sure they haven't thought that they too could be the source of government redistribution as everyone is willing for the government to take and take and take as long as they are the beneficiary. When you are the target of the asset confiscation, suddenly we all become proponents of a free market system! A few days ago I wrote a post titled, A LITTLE INFLATION AIN'T SO BAD and I discussed how we are suddenly seeing lots of comments from Europe and Germans that perhaps the inflation bogey man that they have feared isn't so bad. I mentioned essentially that central bankers will pretty much throw out all reservations and any moral conviction regarding inflation to save the Euro and their failed system. My post was basically an introduction to the idea that gold and silver may actually have corrected and that this recent fall would be the last great opportunity to buy before rallying hard on new central bank action. A few days later we have seen a pretty strong reversal in gold and so I wanted to put up two charts that give you a technical idea of where support and resistance might lie. Remember though, if this printing and new found like of easing gathers steam at the G-8 meeting this weekend, gold and silver will rally significantly. In the chart below we see the powerful bounce off of the $1530 level on May 16th. Over the course of the next two days it has climbed to $1590. We are clearly still in a downward channel with a upper trend line at $1630 and $1690 which is overhead resistance outside of the channel. Downside support and the channel boundary is still around $1530. I do not see much danger in testing the bottom of the channel unless the G-8 says that they are prepared to allow Greece to exit. Although if that happens, gold will probably also launch higher as Spain, Portugal, and Italy may be right behind them. Because there is such a chance of this blowing out of their control (like it is in their control) there is absolutely no way that I see them not printing here and spewing more Euros to every willing taker. To sum it all up. Gold and silver have bottomed here (thanks to the G8) for a while and you can look to targets above to sell if you are trading the shiny stuff. If you are a long term holder, I hope you added more. I had a request from a friend to slap a few of the charts that I frequently review up again, so I thought that I would oblige. I'll add simply a sentence or two about what I think, but most are very similar in terms of signaling a sell or being very close to doing so. As we view these charts notice that they are all set to view a weekly time frame and all have a 14 day EMA an 40 day EMA line. Essentially a 14 EMA over the 40 day EMA can be bullish and a 40 day EMA over a 14 day EMA can be very bearish. The slope of this EMA relationship is also important as you'd want to remain skeptical of a bullish signal where the 14 day EMA crosses over the 40 day EMA when the slope is actually heading down. Ultimately, this longer term signal can be useful to capture bigger longer term moves. Almost every chart here has suffered significant damage in the last month or two and so all confirm signals to sell and get into cash. BLACKSTONE (BX) - $10 or $8 could easily be in reach here. Another JPM hedging fat finger at another bank or hedge fund will send BX much lower. CATERPILLAR (CAT) - Global growth slowdown. CAT needs a serious reversal to make that right shoulder form or else it is doomed. Australia Ishares (EWA) - Need some Chinese inflation to save the day, otherwise it will go the path of all commodities without QE3. Canada Ishares (EWC) - Same as EWA above. Malaysia (EWM) - I get that toppy feeling here too. Time to exit. Korea ishares (EWY) - EWY has failed to break out. Freeport McMoran (FCX) - The last year gives us a pretty well defined declining trend. Uncle Ben needs to step in to save the metals and the miners. A break below $32 would be disastrous. Indonesia (IDX) - I hate to bet against this one, but it sure looks like it is about to roll over. 3M (MMM) - I'm inclined to punt this one as it looks to have stalled. I still think it is in the large-cap dividend space which will receive benefits as investors look for yield in all kinds of places. Corporate bond yields are so low, 3M is absolutely got to be a substitute investment for consideration. Pfizer (PFE) - No reason to panic. Apparently dividend paying drug companies are a shelter from a brewing storm. Beautiful chart here. Utilities (XLU) - Ding, Ding, Ding we have a winner! As a safe haven and a dividend payer perhaps it is one of the best "relative value" hiding places. If things get really scary, XLU will break down too as it faces pretty major resistance overhead. Valero (VLO) - Didn't we say sell gas related stuff May 1? See you at $15. Western Refining (WNR) - This has been a wonderful gift, time to exit. Greed can be a very bad thing if it causes you to lose your money after seeing big gains. Don't let it slip away as $8 is a long way away. That's it for now. More charts to come later. And so it begins. In our discussions over the last two years we've described the tendency for central banks around the work to talk a tough game but always resort to liquidity providing measures when push comes to shove. All developed nations do it, all emerging nations do it, and yes, even the Germans, those steadfast, disciplined, hard-working, determined wunderkinds will fall back on printing and inflation when the cracks in the Euro become too great to ignore. In the linked article above we are beginning to hear the change in tone of Germans as Peter Bofinger, adviser to the German government, suggests that perhaps a touch of inflation isn't so bad after all. Here are a few snippets from the interview in Der Spiegel. Notice how the notion is now becoming more tolerable to allow inflation into the system since this is the only option left for central bankers. Remember, inflation equals devaluation of the currency. "SPIEGEL: In 2011, prices in Germany rose by 2.3 percent. Should we fear higher inflation? Bofinger: No. During the years of the Bundesbank (before the introduction of the euro), the average loss of purchasing power stood at 2.7 percent per year. We are still far away from that figure. Despite a strong economy, the inflation rate currently stands at just 2.1 percent. And even if prices rose by more than three percent, it would not be a disaster. 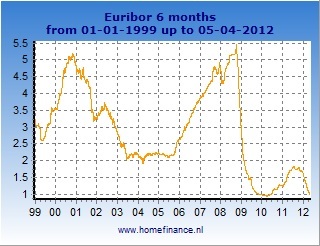 The logic of the euro-zone is that the booming regions have higher inflation than those that are growing more slowly." Notice how he suggests that just "a little" inflation would be just fine? "SPIEGEL: Can faster price growth in Germany help stabilize the currency union? Bofinger: Absolutely. If our wages were to rise faster than in the past, thus slightly increasing the inflation rate, that would be a good way to help us get out of the euro crisis. To boost the competitiveness of crisis countries, they can cut their salaries, which is a very painful step -- or, alternatively, our wages could increase further." This statement actually addresses one of the major concerns that Germans have had for years. As their wages have been stagnant for the last 5 years they have watched salaries in the weaker Eurozone countries increase 10% - 25%. How frustrating is that? The German government is about as willing to accept inflation as the Chinese are open to accept an uncensored internet. If you are beginning to hear highly respected advisers suggest that inflation wouldn't be the end to the Euro, it is similar to George Bush stating that "We have to abandon free market principles to save the free market". In other words, options are limited and now we are willing to try things we know are not consistent with our values and that haven't ever worked before. Another way of saying it is that they are beginning to become desperate. So what is an investor to do when central banks and governments begin to take actions that are doomed and can only result in bad things? The only answer is to invest in commodities. As we've mentioned over and over central banks ultimately end up seeing printing and devaluation as the answer to every problem, and the only thing that will protect the average Joe will be a healthy holding in hard assets. HARD ASSETS / WHAT ABOUT GOLD? As I examine the chart of gold, there really isn't anything here I'm happy about. Gold's chart looks as though it is now breaking down pretty hard, breaking through support. Chinese inflation is abating and this spells further doom for commodity bulls. So how could one disregard technicals and even macro-related indicators? Simple, what is the one action that can defeat technicals and macro-related events in the short-term (meaning 1 to 3 years)? Central Bank action of course! We do need a sudden and major whoosh down in the markets and a little QE3 action by our Fed along with some inflationary targeting by the ECB and we'll see a pretty significant turnaround in hard assets. Don't go out there and blow your whole wad in one purchase! I am still sticking to my plan that I will add to my gold at $1,400 and silver at $26. As you keep hearing how gold and metals are dead, remember that it is when everyone repudiates an asset is when you want to buy it, not the other way around. I have a sense that this will be the last good chance to accumulate these assets before a significant market dislocation. No matter what, create a plan and stick to it. Everything about gold looks nasty here as it has broken down through support and its 14 day EMA is now below the 40 day EMA on a weekly chart. This is a very bad long-term signal. There are only two reasons to add gold here. First, you believe it is a form of insurance. Second, if you believe in the unfaltering stupidity of central banks to respond with emergency liquidity and printing. Be aware that if you are a US investor you could be correct in terms of a direction of gold and assets relative to the Euro, but be a net loser if the USD climbs higher. Be careful adding here and make sure you have a trading plan. I was doing market research this morning and I found yet another reason to dislike the Federal Reserve (yes, I know they have social media monitors logging in my rants). As you examine your bank accounts, savings accounts, and all other "safer" investments we should be prepared to thank the entity that assists us our efforts to move backward away from any realistic investment goals. Here is a real advertisement from ALLY Bank promoting a very wonderful 1.45% yield on a 4 year CD. WOW!!! And to think you only have to invest your money with a bank that was formerly GMAC that owned ResCap, an entity which filed for bankruptcy in the last couple of weeks. Don't forget though, those CDs are 100% guaranteed by the FDIC so no worries!! HOW CAN WE THANK THE FED? 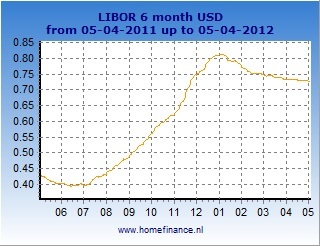 ZIRP is how we can thank the Fed! Our liquidity at all costs and zero interest rate policy is absolutely the reason we can lock our money away for 4 years and receive almost nothing. Thank you Uncle Ben! In comparison we can buy short dated corporate bonds and earn only slightly better if we go do the credit curve and buy riskier names. The range I am seeing for lower quality investment grade names ranges from 1.4% to 4.0% Still, that is disgusting considering the risk you need to take to get those rates. Unfortunately to keep the ponzi scheme going, it can't. If the Fed lets rates rise, we can't afford it as a nation. Ask the Japanese how that 10 year 1% bond helps retirees, I'm sure they love it! Well, JPM seems to be getting a little news on its "Hedge Book that looks and acts like a Prop Trading Desk". I find this story to be very entertaining as they were short long dated investment grade bonds, betting that price would go down and yields up. It seems as though JPM's Hedge Book is so large that it was moving markets as it bought and sold positions (or in credit terms he sold protection on the IG9. In addition, it seems as though the book was thrashed as several issues combined to tip the market off that there was a massive player in the markets. As JPM's desk sold protection its daily adjustments were so large that it dislocated normal correlations of the investment grade market to the S&P500 equity market. Those evil hedge funds began to see the divergence in markets and started trading against the mis-allocation in pricing, betting that it would come back into alignment. In the midst of these trades, long term treasury rates fell as concerns in Europe mounted, creating an even more trouble set of circumstances. Since the book is so big, JPM was altering credit markets in their attempts to hedge and position the book! If JPM is still in it's positions, it is getting hammered. In a conference call, it was released that the DV01 or Dollar Value of a 1bps move for the book was $200 million! Since the the early rumors broke on this story back in April, the 9 year investment grade yield curve has moved out 25bps which could suggest that there really is a staggering $5 Billion loss (if they still have those positions on). Pretty nasty loss for a risk controlling desk isn't it? As I've written for almost two years now, investors in bonds can only be in short dated bonds. If a person desired longer maturities they certainly shouldn't be buying bonds now as the only place for rates would be up (in sometime in the future). Given the problems we are seeing with JPM and long dated credit, we all are left saying, "Thank you Fed, may I have another!"